The mighty blender is one of the most versatile items available for the home kitchen. Blend, mix, pulse, puree…the possibilities for smoothies, shakes, soups, sauces, and dips are just about endless. Historically, blenders have been regarded as bulky, hard-to-clean objects that, in turn, ended up as yard sale fodder rather than a valuable tool. (How many of us have thought about making a smoothie or a milkshake, but scraped the whole idea once we remembered we’d have to clean the blender?) Fortunately, these small appliances have come a long way in recent years, and are available in a variety of sizes with varying functionality. We’ll take a look at a handful of blenders that are both efficient and won’t take half your morning to clean after you’ve whipped up your post-gym protein shake. If you haven’t seen the NutriBullet on TV, you’ve probably at least seen someone talking about it online. 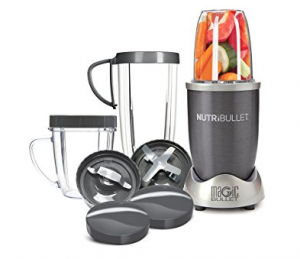 The compact, multi-functional Nutribullet is aimed at health-conscious buyers who want the benefits of a quick smoothie without all the hassle of maneuvering and cleaning a full-sized blender. This 12-piece set includes the power base, a tall cup, two short cups, a flat blade, an emulsifying blade, two lids, and a manual with recipes. The cups conveniently have handles, making it easy to blend and go when you’re short on time. NutriBullet is great for smoothies, juices, salad dressings, dipping sauces, salsas—basically anything you won’t need in huge quantities. The small size makes this blender easy to stow away when not in use, thus conserving precious counter space. If you’re reluctant to drop the better part of $100 on a personal-sized blender, consider this extremely well-priced Epica. The 20 oz. blending jar doubles as a good-looking to-go bottle, which makes this blender just about perfect for busy mornings and quick refueling after workouts. Most of us are probably willing to admit that the easier an appliance is to use, the more likely we are to actually use it on a regular basis, and it doesn’t get much easier to use than this little fella. If the price seems too good to be true, fear not, because 1400 Amazon reviewers have given the Epica blender a 4.3-star rating. 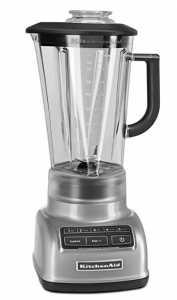 This sleek blender offers 1000W of power and a 72 oz. capacity to blend up just about anything you choose. Crush ice and produce within seconds, blend a creamy milkshake, or puree soup to velvety smoothness with just the touch of a button. While some folks may prefer a glass blending jar, the Ninja’s plastic construction makes the machine favorably lighter. For ease of cleaning, the blade assembly pops out from the bottom of the jar—which is also a safety bonus for your fingers. Users are thoroughly pleased with the quality and performance of the Ninja Pro, as evidenced by its 4.4-star Amazon rating from nearly 2000 users. It’s hard to discuss blenders without mentioning the almighty Vitamix. While even their most entry level machine is three- to four-times the cost of a traditional blender, Vitamix is indisputably the industry leader. This ultra-powerful Vitamix Explorian features 10 blending speeds for precise control, a pulse feature, aircraft-grade stainless steel blades, and the ability to blend hot or cold. Which, yes, means you can make a steaming soup right in the blender itself. And perhaps the best part, Vitamix alleges itself to be a self-cleaning machine; simply blend a drop of soap with water on the highest setting, rinse, and you’re done. While the investment price might be hard to swallow, Vitamix products carry a full 10-year warranty, so if anything does go wrong, you’re not out a car payment’s worth of cash. 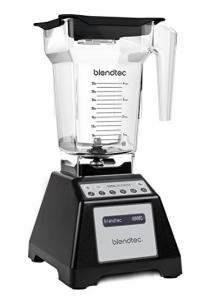 Easily one of Vitamix’s closest competitors, Blendtec also produces professional-grade, high-quality blenders for home use. 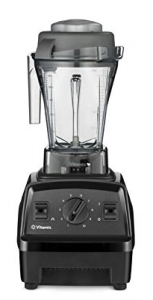 The Total Blender Classic model features their trademark FourSide jar, blunt-tipped safety blades for anxiety-free cleaning, and a variety of programmed settings for everything from smoothie to batter to ice cream and hot soup. 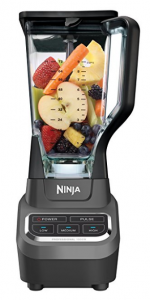 If you’re thinking this blender looks familiar but can’t quite put your finger on why…remember those “Will It Blend?” videos on YouTube from a few years back? Where the guy drops a perfectly good iPhone into a blender and turns the thing into a fine powder in seconds? Yeah, that was a Blendtec. And on that note, we’ll leave you to it. Let us know in the comments if you have a favorite blender we haven’t mentioned!